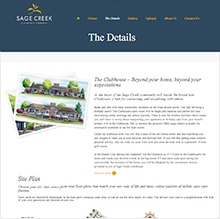 As you enter a new home at Sage Creek you immediately notice how comfortable you feel. 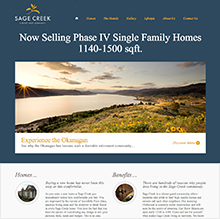 You are impressed by the variety of incredible floor plans, spacious living areas and the attention to detail found in every Sage Creek home; This followed suit with the website. 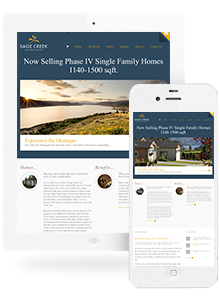 We made sure the user experience was easy to navigate and also provided Sage Creek with a digital marketing strategy to help drive leads to there website. Well written content with clear top level messaging. 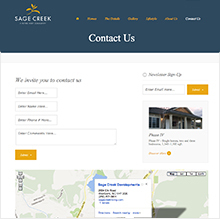 Clear calls to action with simple navigation. 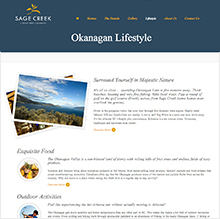 Search engine optimization along with remarketing campaign. Persona based user experience aimed at the 55+ age group.